This 28,000 BTU fireplace insert from Empire provides enough heat to heat a medium to large size room, but the vent free, zero clearance design allows it to be easily installed in tight spaces or small rooms. 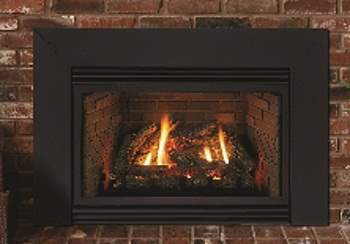 The Empire VFP28IN73LN Innsbrook Vent-Free Fireplace Insert is powered by natural gas, and includes a ceramic brick liner that helps direct heat out towards the room. 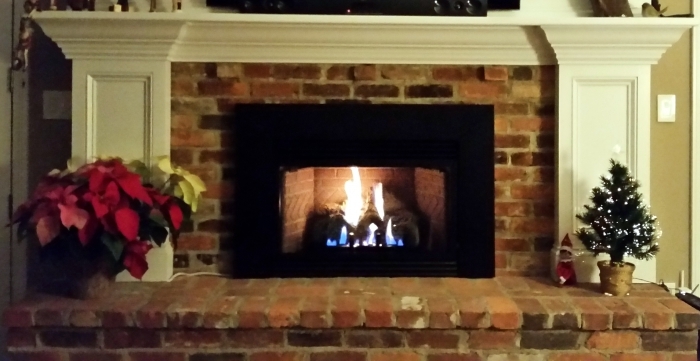 This ventless fireplace insert can be installed in living or dining areas in your home. The 28,000 BTU provide enough supplemental heat to allow you to improve the heating in your home without the constant need for a central furnace. Is this a zero clearance unit? And what is the minimum size opening needed for this unit? This is a zero clearance unit. The framing dimensions for the insert are 30.5" wide, 22.5" tall, and 15 3/16" deep. This insert will indeed include a blower. Is the glass difficult to remove for cleaning? No, the optional glass front is easily removable for service and cleaning. Does this unit require electricity to operate? Yes, the electronic ignition on this fireplace requires connection to a 110 volt circuit. What is the square footage that this fireplace will heat? This insert is capable of heating approximately 700-800 square feet. do the measurements include the black framing around the fireplace? Does this feature gas or electric fueling? This is a vent-free gas insert, you can use either a natural gas or propane on this model, specifically made for either fuel type (not both). The only thing I didn't like where the directions, they could make it much simpler. I am very pleased with the insert, nice heat, looks great, and is built well. I recommend it. Long overdue! Wife loves it! We had a set of gas logs from the early 90's that let most of the heat go up the chimney although the fire looked nice. There was no safety or pilot light just a gas valve. We never had any issues with it other than the affect on the gas bill which made me reluctant to turn them on to my wife's disappointment. After researching ventless gas inserts, I found this item which I purchased and installed.Installation was pretty straight forward as I was lucky to already have a gas line in the fireplace opening. I also purchased the remote control. We turn the furnace off but leave the blower run continuously as I have an outside air intake connected to the cold air return. We also run the ceiling paddle fan when the fireplace is on. Even with the gas valve on the low setting, this really heats our living room and surrounding area. I haven't really received a gas bill yet to check on how my usage is affected but so far, we are very happy with the purchase both in looks and performance. ProsLooks very nice; fairly easy installation; puts out adequate heat; remote control to turn on & off; don't notice any fumes(after initial burn in); appears to be well built. ConsSeems a bit pricey but Made in the USA so worth it I guess.